Copyright © 2015 Overland (Vehicle Services) Ltd. Founded in 1988 by the managing director Graham Ashfold. 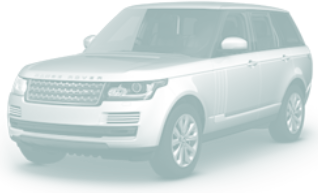 The business of servicing & repairing Land Rover vehicles has grown steadily over the years. We do our best to give an honest and professional service to all our clients. Our attention to detail and responding to customers requirements and ever changing technology in Land Rover vehicles has seen our client base grow and subsequent expansion to meet demand. The purchase of the excellent AUTOLOGIC diagnostic computer gave us a main dealer level of diagnostics to our clients.We have been servicing our clients vehicles from NEW with NO loss of warranty. Our dealer level of support comes from our subscription to Land Rovers own Global Technical Reference Website which enables us to access the latest information we require to service and repair our clients vehicles efficiently and more importantly to Land Rovers exacting schedules.With technicians dedicated to the product our reputation has grown in stature with clients old and new. Most of our new clients come from recommendations of existing clients, which we feel this is probably the best form of advertising you can get. Our work is as diverse as from changing a light bulb, servicing the latest Range Rovers to total rebuilds & new chassis. We can also supply and fit any accessories to any Land Rover from Mud Flaps to winches and suspension kits.